Don’t waste a minute of your precious time on creating that vintage, retro newspaper look. 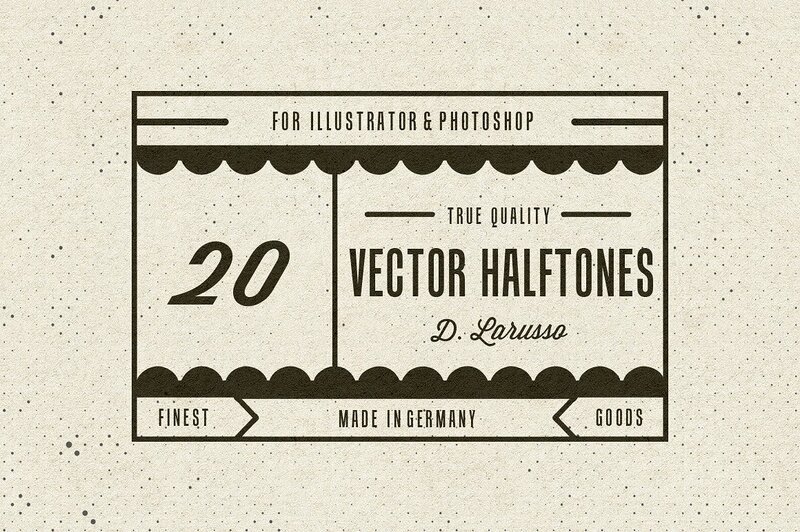 The first release of my Vintage Vector Halftone pack is here! You’ll get 20 handcrafted, high-quality textures that are fully scalable and layered, ensuring that they are super easy and fun to use – both in .AI and High Res .PNG format. Just download the package, import the textures into your favorite graphic software and create the perfect look for your artwork in a matter of minutes. It’s a piece of cake, really. Now at a reduced price.